Elite distance running in Scotland is on an upward trajectory and the future of the sport north of the border continues to look bright as a major new spring marathon has been announced for Stirling in 2017. Stirling, in the heart of Scotland, will be the location for the debut event in the newly-formed Great Run British Marathon Series. Organised by The Great Run Company, the Stirling Scottish Marathon features alongside the recently-launched Birmingham International Marathon, which will take place in October 2017, with a third marathon in the series set to be unveiled in the near future. The Scotland event, supported by Scottish Athletics and Stirling Council, will take place on May 21, 2017. Starting west of the city at Blair Drummond Safari Park, the route will wind through the stunning Stirlingshire countryside and pass historic landmarks including Doune Castle, the National Wallace Monument and Bridge of Allan before finishing beneath the imposing ramparts of Stirling Castle. Starting out with an undulating first five miles, the remainder of the course is set to be fast and suitable for all abilities from elite runners through to first-time joggers. 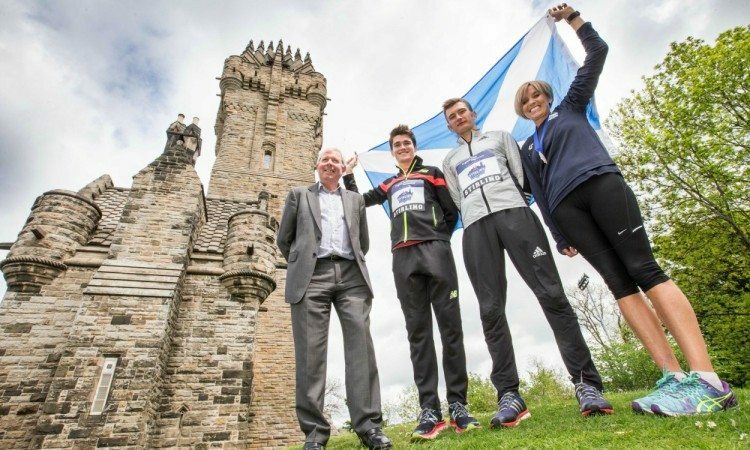 The Stirling Scottish Marathon will look to build on the recent resurgence of Scottish marathon running, with the top three Britons in last month’s London Marathon all hailing from Scotland. Brothers Callum and Derek Hawkins will be joined by Tsegai Tewelde when they represent Great Britain over 26.2 miles at the Olympic Games in Rio this summer, while athletes including Eilish McColgan, Beth Potter and Andrew Butchart – who broke the 36-year-old Scottish 5000m record in Hengelo last weekend – continue to impress on the track. The Stirling Scottish Marathon is The Great Run Company’s fifth mass-participation running event in Scotland, as it joins the Great Edinburgh Winter Run, Great Edinburgh Run, Great Women’s 10K and Bank Of Scotland Great Scottish Run, while the elite international Great Edinburgh XCountry takes place on the same day as the 5km Great Edinburgh Winter Run in January. Stirling Council leader Johanna Boyd said: “Stirling is the ideal setting for a marathon, with its iconic scenery, clean air and fantastic local running routes. The location and route of the marathon will be used to reinforce The Great Run Company’s #ComeHomeToRun proposition to encourage expats as well as tourists throughout the UK, Europe and across the globe to head to Scotland. Entries for the Stirling Scottish Marathon are now open at www.greatrun.org.